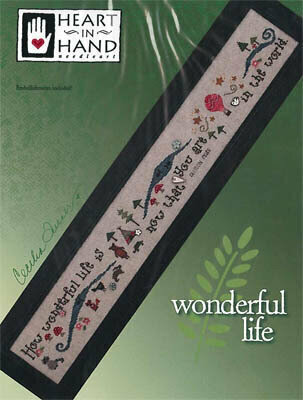 "How wonderful life is now that you are in the world". 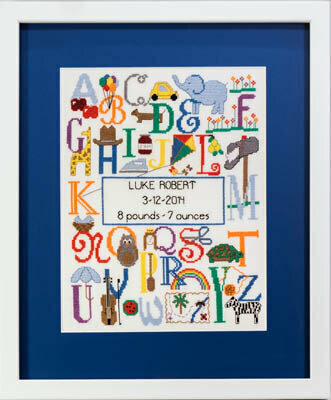 Comes with alphabet chart to add a name, if desired. 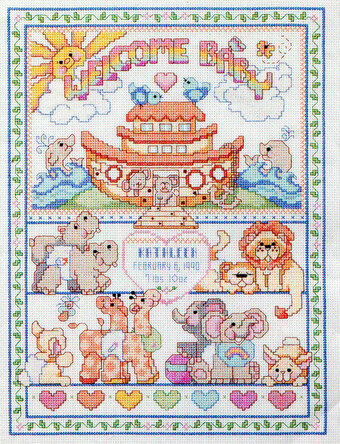 Model stitched over 2 threads on 28 Ct. Natural linen with Classic Colorworks floss, Gentle Art Sampler threads and Weeks Dye Works floss (or DMC 223, 839, 309, 3045, 3363, 3772, 224, 355, 3032, 931, 783, 640, 838, 987, 310, 3895, white). 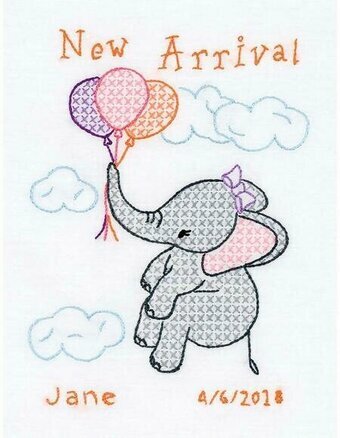 Comes with buttons. 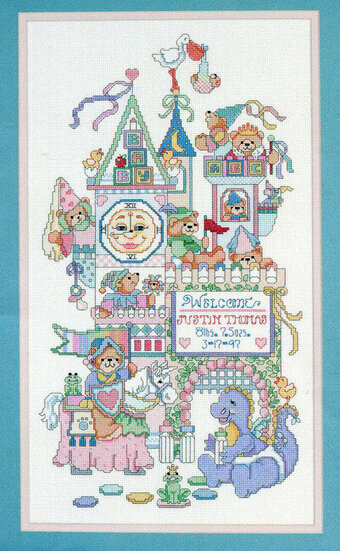 Stitch Coun t: 374W x 41H. 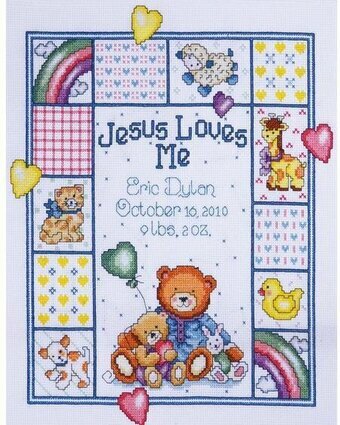 Complete kit contains cotton thread, 14 count White Aida, needle, and easy instructions with an alphabet and numbers for personalizing. 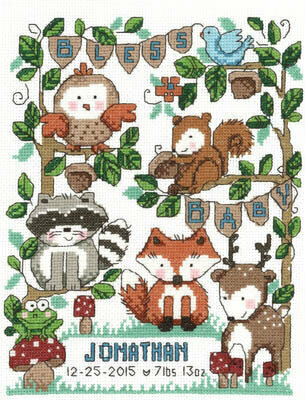 Finished Size: 12" x 9" (30 x 23 cm). 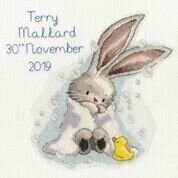 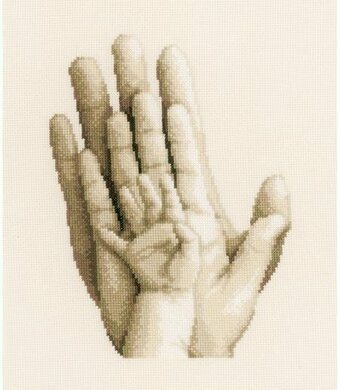 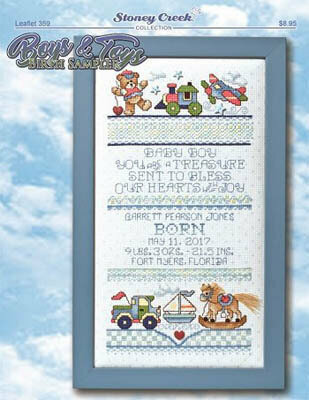 Cross Stitch & Embroidery design. 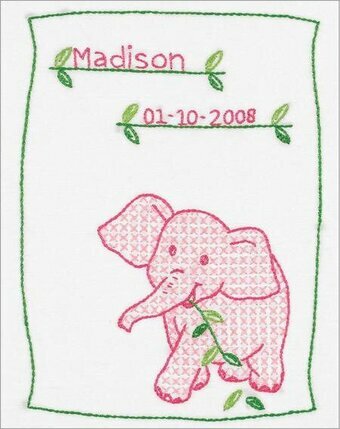 Each package contains one white sampler of poly/cotton broadcloth. 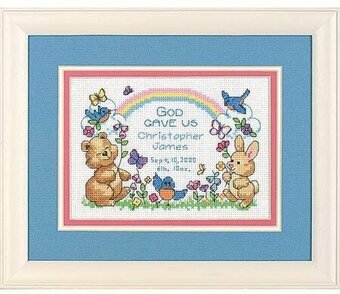 Designed to fit an 8″ x 10″ frame. 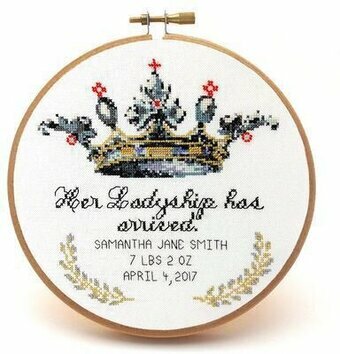 Additional materials needed to complete: Hoop, needle, floss, and frame. 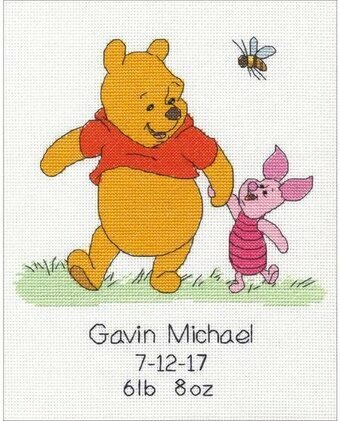 Floss requirements included. 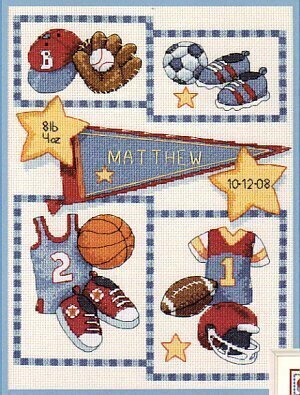 Floss is NOT included with this kit. 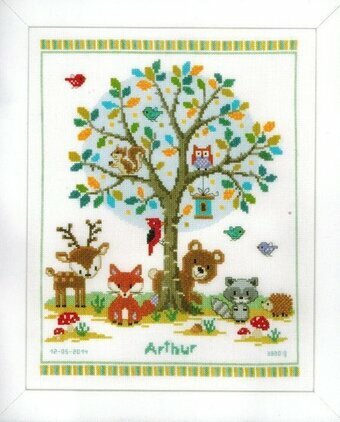 Kit includes 14 Ct. Ivory Aida, pattern, thread, floss separators, needle and instructions. 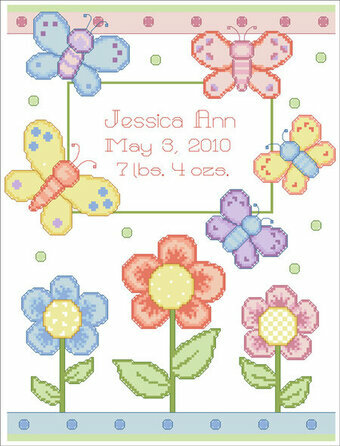 Finished size: 8" x 10". 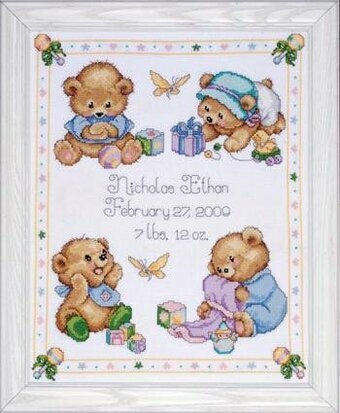 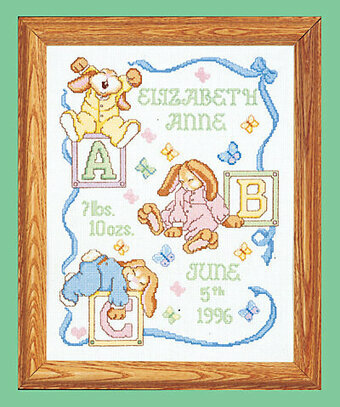 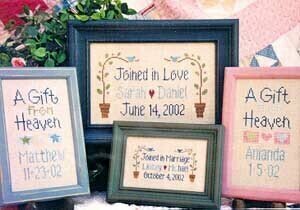 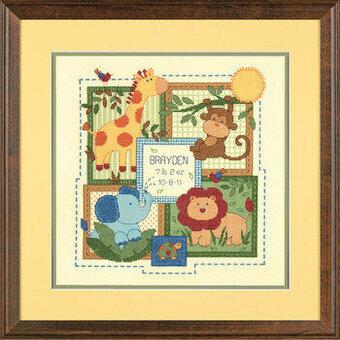 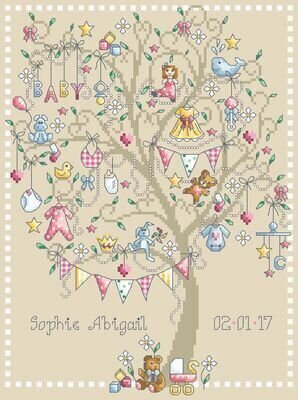 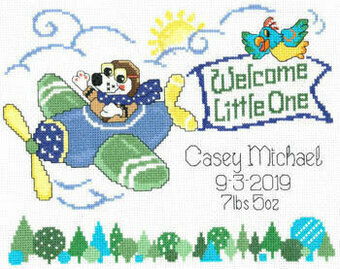 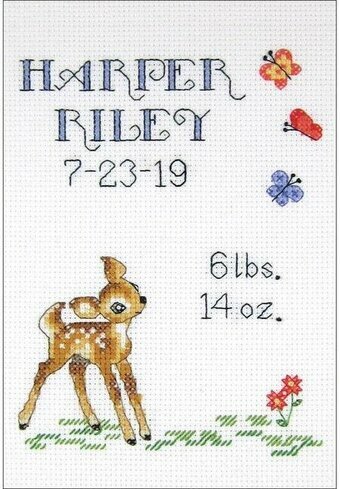 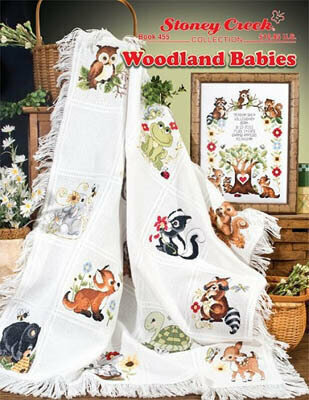 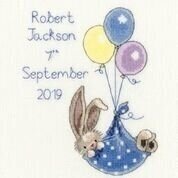 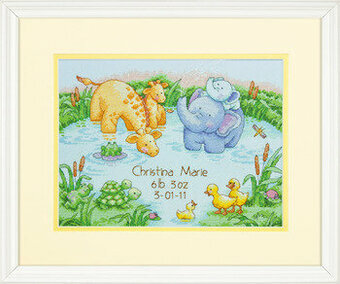 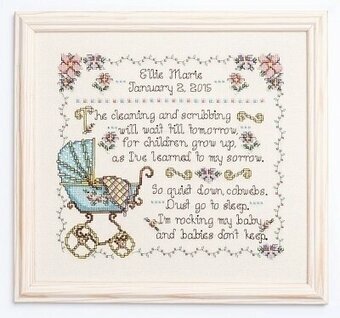 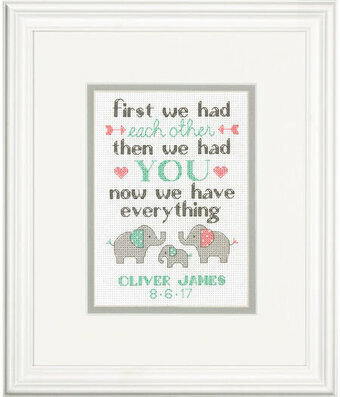 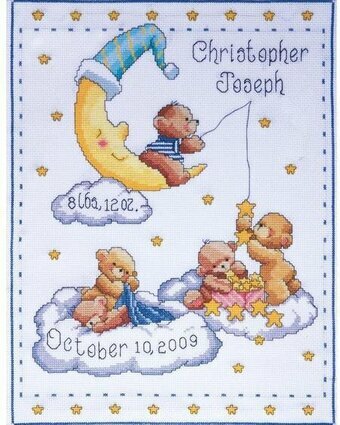 Adorable animals set against patterned backgrounds make up the delightful counted cross stitch Savannah Birth Record. 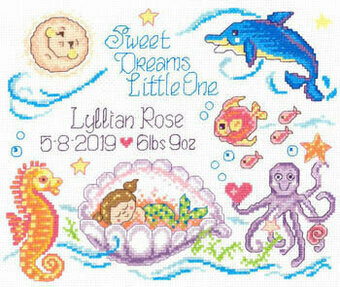 Finished Size: 12" x 12" (30 x 30 cm). 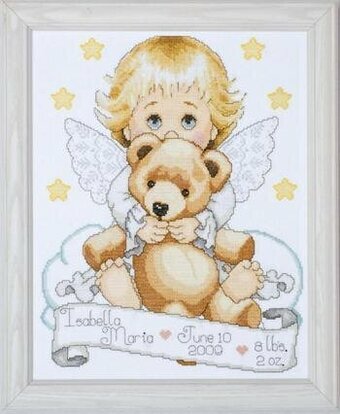 Contains presorted cotton thread, 14 count ivory cotton Aida, needle and instructions with an alphabet and numbers for personalizing. 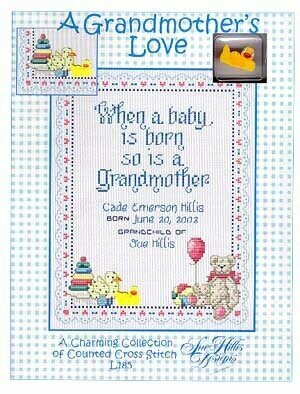 Designer: Wilma Sanchez. 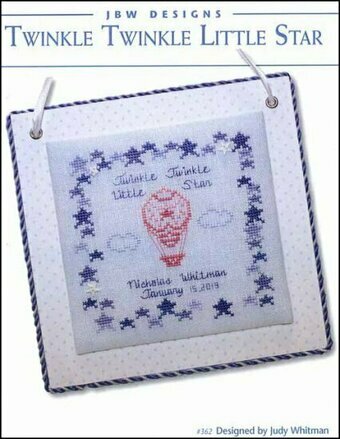 Kit contains 14 Ct. White Aida, cotton embroidery floss, needle, floss separators, trilingual instructions, and colored chart. 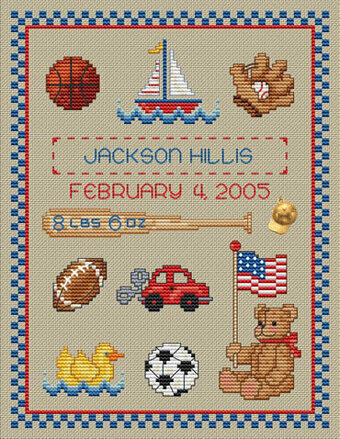 Finished size: 10" x 13.5". 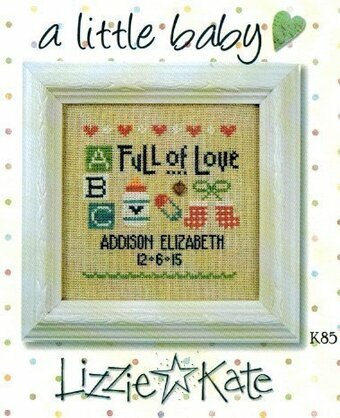 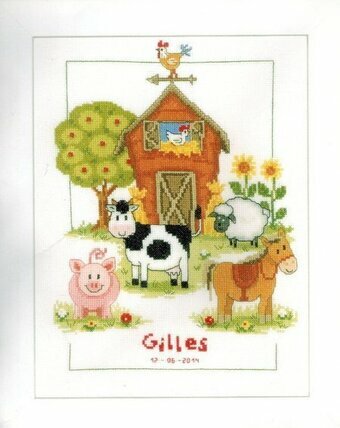 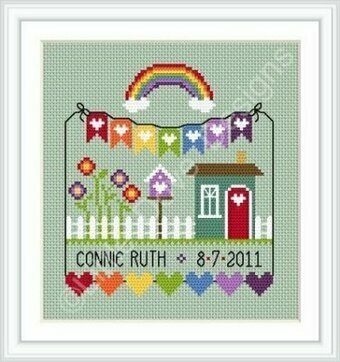 Cross Stitch Kit contains: 100% cotton 14 count Aida, needle, cotton floss, alphabet and complete instructions. 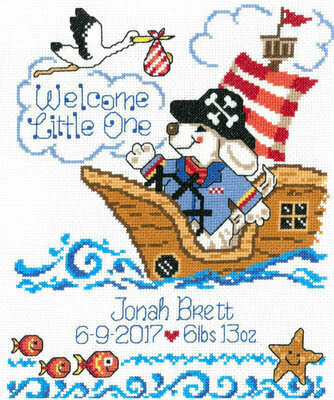 11" x 14", 14 Count.